Pre-workout supplements provide support for extreme exertion. 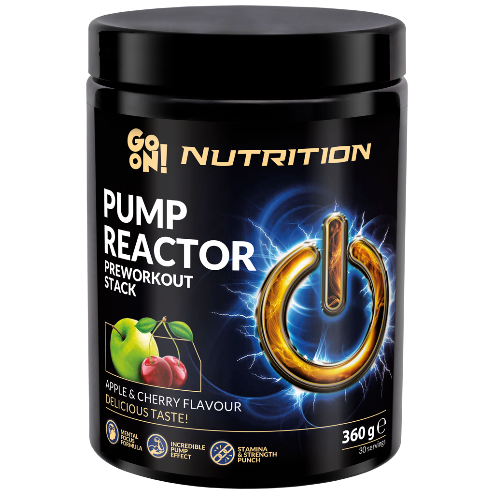 GO ON Nutrition pre-workout supplement feature ideally selected ingredients chosen to meet the special needs of sportspeople. 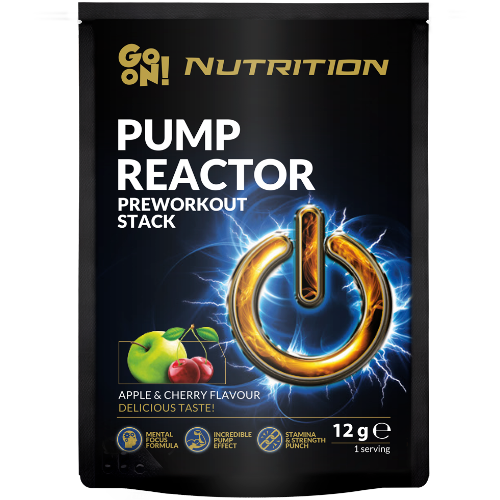 Pump Reactor is a super-concentrated pre-workout mixture for sportspeople who are not afraid to train hard! 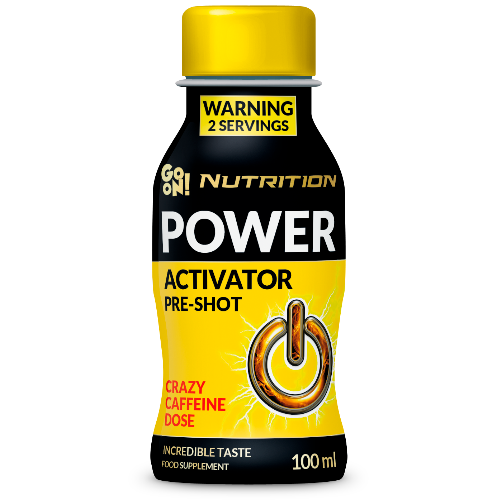 Its optimal proportions of caffeine, AKKG, citrulline, and beta-alanine improves muscle function, making contractions stronger. AKKG increases nitric oxide (NO) production and vasodilation, creating a muscle ripping pump effect. Beta-alanine enhances buffering processes, delaying the development of lactic acid that hampers muscle function during intense workouts. Citrulline completes the mix, increasing detox and nutritional effects in the body. Additionally, precisely selected extracts from Schisandra and sage help the body in concentration and adaptation to strenuous exercise.